Read on to learn how staff are creatively clearing some of the unexpected hurdles we’ve encountered during Re/Fresh 2019. In our studio, we typically work by connecting our individual laptops to dual monitor workstations. There are currently 4 different types of laptops throughoout the office — each with varying connections and power supplies. With our aspirations of adopting partially-unassigned seating, these nuanced technical requirements pose quite the challenge. In response, our IT team has developed a solution that will provide the connections for all of our laptops to easily hook up any dual monitor throughout the office. In the weeks leading up to the re/fresh launch, IT has been installing these connections to each desk in the office so that we will be ready to go on Day 1! The Re\Fresh Ambassadors have made it fun to clear out the old stuff and get ready for our workspace transformation. The community “Yard Sale” table in the café has been full of interesting relics — from smoked salmon, ribbon, and glitter, to branded water bottles and suntan lotion — all of which have produced a lot of laughs and some friendly banter. Robin, our office manager, has been keeping track of all the ridiculous items we store at our desks. Smoked salmon and a bag of unopened kitty litter likely trump the award-winning electric eraser that was uncovered last year. Would anyone like some glitter-encrusted Salmon? Community garden plots are available! Not everyone is comfortable giving up a space that they can personalize. For some, it’s important to make their space “home-y” with photos, memorabilia, or their treasured office cactus. For others, it’s about having a workplace that doesn’t feel too barren or sterile. 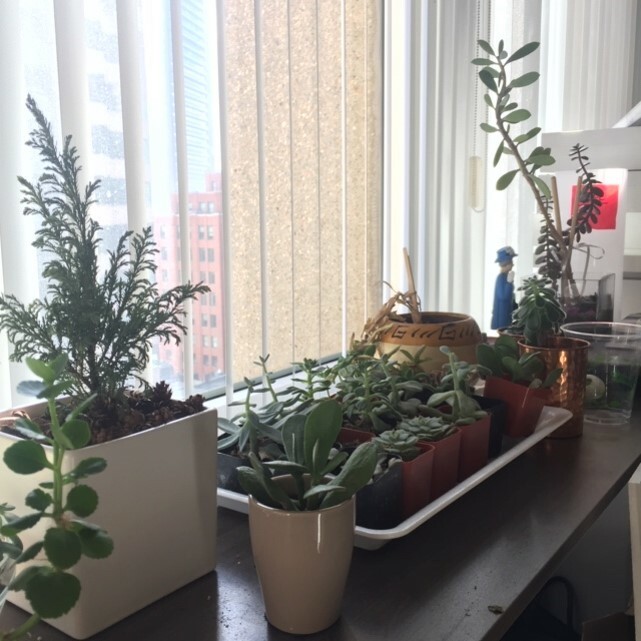 Many of our teams are planning ways to accommodate these personal items even without personal workstations, like including photo montages and common garden areas. Plus, we are providing each team member their own personal storage basket that they can personalize and use to easily move their belongings around the office. Creativity at its best! What we’ve learned? Our team members are CRAFTY and really think outside-the-box to come up with simple and valid solutions to any of the perceived challenges.